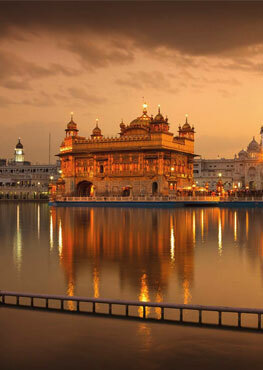 Guru Nanak’s time was the period of religious, political and cultural turmoil. The prevailing religions; Hinduism, Buddhism, Jainism, and Islam had become corrupt and degenerated. They had lost their pristine purity and glory. The Vedas were unintelligible to the people and had been replaced by tantric literature. Castes had grown rigid and had split into numerous sub-castes. Similar was the state of affairs in Islam. Political and cultural conditions were much worse. Guru Nanak's mission and achievement was not only to dam the Amazon of moral and spiritual energy but also to divert it into the world so as to enrich the moral, social and the political life of man. The task was undertaken with a faith, confidence, and determination which could only be prophetic. Guru Nanak took upon to propagate Truth and Truth alone with the Philosophy of ‘Unity of God’, ‘Worship of One God sans idols’, ‘Fatherhood of God’, ‘Brotherhood of beings’, ‘Equality of Man’, ‘Inner autonomy ’ and ‘Meaninglessness of ritualism.’ He exhorted the people to forget all barriers of caste creed, religion, region and colour and restored their faith and undivided loyalty to One God (Ik Onkar) as source of all creation. Guru Nanak’s philosophy can be termed as that of love for God and His creation. Equality, fraternity, and common brotherhood remain the spirit. Its practicality is in ‘Naam Simran’, congregation and sharing food on a common platform (sangat-pangat) and ‘service to the society’ and in hard labour, recitation of God’s Name and sharing the earning (Kirat Karna, Naam Japna, Vand Chhakna). It has universal application hence accepted universally and has the bright future of its acceptance to the future generations. - ਤੇਰਾ ਏਕੁ ਨਾਮੁ ਤਾਰੇ ਸੰਸਾਰੁ ॥ ਮੈ ਏਹਾ ਆਸ ਏਹੋ ਆਧਾਰੁ ॥੧॥ ਰਹਾਉ ॥(SGGS. 24). -ਸਚਹੁ ਓਰੈ ਸਭੁ ਕੋ ਉਪਰਿ ਸਚੁ ਆਚਾਰੁ ॥੫॥ (SGGS. 62-11). -ਮਿਠਤੁ ਨੀਵੀ ਨਾਨਕਾ ਗੁਣ ਚੰਗਿਆਈਆ ਤਤੁ ॥ (SGGS. 470-13). -Sweetness and humility, O Nanak, are the essence of virtue and goodness. -ਘਾਲਿ ਖਾਇ ਕਿਛੁ ਹਥਹੁ ਦੇਇ ॥ ਨਾਨਕ ਰਾਹੁ ਪਛਾਣਹਿ ਸੇਇ ॥੧॥ (SGGS 1245). -ਕੂੜ ਨਿਖੁਟੇ ਨਾਨਕਾ ਓੜਕਿ ਸਚਿ ਰਹੀ ॥੨॥ (SGGS 953). - ਧਨੁ ਲੇਖਾਰੀ ਨਾਨਕਾ ਪਿਆਰੇ ਸਾਚੁ ਲਿਖੈ ਉਰਿ ਧਾਰਿ ॥੮॥੩॥ (SGGS, 636-17). -ਮੰਦਾ ਕਿਸੈ ਨ ਆਖੀਐ ਪੜਿ ਅਖਰੁ ਏਹੋ ਬੁਝੀਐ ॥ ਮੂਰਖੈ ਨਾਲਿ ਨ ਲੁਝੀਐ ॥੧੯॥ (Raag Asa, Guru Nanak, 473-13). -ਵੇਖਿ ਵਿਡਾਣੁ ਰਹਿਆ ਵਿਸਮਾਦੁ ॥ ਨਾਨਕ ਬੁਝਣੁ ਪੂਰੈ ਭਾਗਿ ॥੧॥ (Raag Asa, Guru Nanak. 464-4). -ਨਾਨਕ ਫਿਕੈ ਬੋਲਿਐ ਤਨੁ ਮਨੁ ਫਿਕਾ ਹੋਇ ॥ (SGGS 473). -From a woman, a woman is born; without a woman, there would be no one at all. -ਨਾਨਕ ਕੰਮਿ ਨ ਆਵਈ ਜਿਤੁ ਤਨਿ ਨਾਹੀ ਸਚਾ ਨਾਉ ॥ (SGGS. 730-9). -O Nanak, that body is of no use at all, if it does not enshrine the Name of the True Lord. - ਵਿਦਿਆ ਵੀਚਾਰੀ ਤਾਂ ਪਰਉਪਕਾਰੀ ॥ (SGGS. 356-14). -Contemplate and reflect upon knowledge: you will be a benefactor. To propagate his philosophy Guru Nanak traveled extensively on four itineraries known as Udasis to East, South, North, and West of India. Starting and ending each Udasis from Punjab, he traveled up to Bangladesh and Assam visiting Haryana, Delhi, Uttar Pradesh, Bihar, Bengal, and Assam and returned via Odessa, Madhya Pradesh, and Rajasthan. In His second itinerary, he went through Rajasthan, Madhya Pradesh, Maharashtra, Andhra, Tamil Nadu and returned from Sri Lanka through Kerala, Karnataka, Maharashtra, Gujrat, and Sindh. In third Udasi to North he went to Himachal, Uttranchal, Utter Pradesh, Tibet, Nepal, Sikkim, Bhutan, Assam, Arunachal, Nagaland, Meghalaya, Manipur, Burma, Malaya, Indonesia, China, northern Tibet, Southern USSR, Leh, Kashmir and back to Punjab. In West udasi, he traveled through Sindh to Saudi Arab, Turkey, Italy, Southwest USSR, Iraq, Iran, Central Asia, and Afghanistan while returning to Punjab. He traveled millions of miles for over two decades and then established Kartarpur as the center of his teaching. Evidence is also available of his global visits to Russia and China in North and North East, up to Burma and Malaysia in the East, Sri Lanka in the South and almost all Arabian countries up to Turkey and almost all the states in India though lot of evidence has been lost due to passage of time specially about his visits outside India. Sri Lanka, Himalayan Region Central Asia, Turkey etc., are here worth mentioning. This researcher felt this during his travels to the Himalayas while following Guru Nanak’s path to Arunachal, Assam, Meghalaya, Manipur, Burma, China, Tibet, Bhutan, Nepal Uttranchal, Himachal, Ladakh Kashmir etc. later published in book forms as “Guru Nanak’s Travels to Himalayas and Far East (National Book Shop, 1995), ‘Amazing travels of Guru Nanak’ and ‘So Than Suhawa’ (SGPC). About Guru Nanak’s travels to West recently located manuscripts ‘Syahte Baba Nanak Faqir (1509 unprinted) by Tajjudin Naqshbandi, translated by Sayyad Prithipal Singh Twarikh-e- Arab (Khwaja Gain-ul-Abidin, 1506-1507) translated in Urdu by father of Mohammad Iqbal; Guniat u saleheen (1506-1507) by Abdul Rehman who was sent by Amir of Baghdad to eliminate Guru Nanak and Twarikh-i-Rashidi (1541-1546) by Haidar-Tughlaq cousin of Babar who was in charge of Punjab and Kashmir; cited in a paper “Guru Nanak Viaktitav Atiparmaneek Avlokan” by Prof Himmat Singh. Sohan Lal (Now Sohan Singh) researched these locations and even confirmed a visit to Italy. Sikhs, Sindhis, Nanakpanthis, Nirankaris, Radhaswamis, Sikligars, Banjaras, Satnamis, Joharis, Tharus, Karmapa, Nyingmapa, Khwesh, Sibi and Budhu tribes etc. are the followers spread in India. Followers of Yogi Harbhajan Singh in the USA and Europe are also devoted Sikhs. Similarly there are gardens, trees, tanks and platforms connected with Guru Nanak’s name and his action e.g., Ritha sahib, Nanak Bagichi (UP), Thada sahib (Delhi), Nanak Thada (Nainital), Baba Nanak ki Dheri Haldau, Bijnaur UP), Guruka bahi Benaras and Hajo (Gwahati), Wahiguru Math (Jagan Nath Puri), Guru Ka Bagh (Malda, W. Bengal), Nanak Ghar (Matsya Dhwaj, Hajo, Gwahati), Baoli Math (Puri), Guru Ghati (Ajmer), Mal tekri (Nanded) Ram Tekri (Pune) Kurukal Mandap (sri Lanka) etc. Philosophy of Guru Nanak was accepted universally and it proved so effective that soon a wave started narrowing the gaps between men from different denominations and moral degradation was halted. as a result. Guru Nanak’s following increased regularly and it has now been counted to be 140 million in the world at present according to a study. Many followers like Sindhis, Nanakpanthis, Nirankaris, Radhaswamis, Sikligars, Banjaras, Satnamis, Joharis, Karmapa& Nyingmapa & Lamas Quresh, and Budhu tribes may not stand according to the terminology of a Sikh but they remain the followers of Guru Nanak. Since Guru Nanak’s advent around 10 generations has passed. It means his following has been around 1000 million so far. 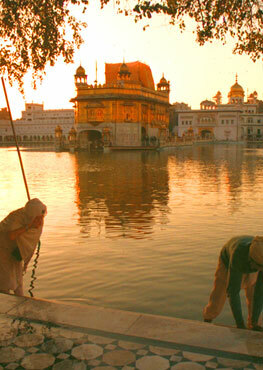 The increase in the following of Guru Nanak has been in a continuous progression. The nine Gurus in succession were so enmeshed into his teaching that they very strictly followed the philosophy set by Guru Nanak. They even did not differentiate themselves from Guru Nanak with their names and recorded themselves as mahla or a connective number of body e.g mahla 5 meaning Guru Arjan the fifth body of Guru Nanak’s Jyoti or soul. This continuous Jyoti transfer was permanently enshrined in Sri Guru Granth Sahib by the 10th Master. The real essence of the overall philosophy propagated by Guru Nanak is found recorded in Sri Guru Granth Sahib which has been regularly followed till date among all his Sikhs. The essence of Sri Guru Granth Sahib is ‘Ik Onkar’ further expanded to ‘mool mantra’ further elaborated in Japuji and fully explained in Sri Guru Granth Sahib. The expansion goes on developing exponentially maintaining “Ik Ongkar” as the fulcrum and philosophy of Japuji. Guru Nanak’s teaching is, thus the key to the entire teaching of Sikhs. Guru Nanak’s communication was so simple and effective that his message went home in all the minds instantaneously. Further his message is for all the people all the time. His followers accept every word of his as gospel truth and the following increased continuously reaching up to 140 million and spread over the entire globe in one form or other. What he did in a short time is astounding and miraculous.